As we become more connected as a society, it is inevitable that healthcare moves toward more of a virtual online presence as well. Telemedicine and remote follow up is becoming more common. I have previously blogged on the importance of the “personal” face to face office visit but at the same time, I embrace the digital revolution in healthcare. Finding the proper balance is the key to successful integration of technology into the delivery of effective healthcare in today’s changing world. Recently, an article in the Wall Street Journal addressed the controversies surrounding the use of email communication between doctor and patient. This practice is fraught with significant legal, personal and professional issues. Patients certainly deserve prompt answers to their questions and reasonable access to their providers–but should we as physicians be accessible via email 24 hours a day? The WSJ piece profiles a few physicians and highlights the way in which each uses email to communicate with patients. Based on recent national surveys, it appears that currently nearly 30% of physicians communicate via email to their patients. Nearly 18% actually used text messaging to interact with patients. Estimates suggest that only 5% of American patients included in the survey use email or text to communicate with their physicians or other healthcare providers. So what are the advantages of email communication? Physician proponents of electronic communication cite the ease of interaction and the avoidance of “phone tag”. 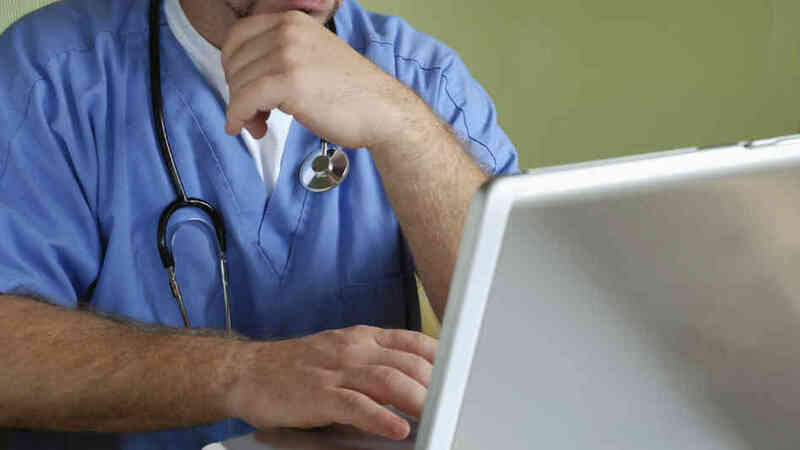 In addition, physicians who email say that it actually saves them time in the office visit because rather than having to deal with misinformation that patients have obtained via google searches about a particular condition, they are able to provide accurate medical answers when the patient wants them via virtual communication. Moreover, these advocates also say that the “good will” and positive ratings that are afforded them by patients who are particularly pleased with email access helps them compete in crowded medical markets such as seen in Manhattan in New York City. Others see electronic communication with patients as problematic. Obviously there are significant issues with privacy, security and miscommunication of important medical instructions or advice. In addition, there may be major legal implications when providing access via email or text. For example, if you provide email and text access to your patients, are you responsible for responding immediately on a weekend or holiday? If the patient suffers a major negative health event, are you responsible if you did not respond. I am certain throngs of litigators are licking their chops at this new frontier of frivolous malpractice claims. Certainly, allowing access during time at home with family and during weekends and holidays may even further reduce a physician’s “down time” and reduce the quality of time spent with family and friends. With workloads increasing and time away becoming scarce, burnout rates are as high as ever and this type of 24-7 connectivity may lead to even quicker flame outs. Other physicians cite concerns over reimbursement–time spent emailing and texting patients is unpaid. With reimbursements falling yet again, providing free services just doesn’t make sense to many providers’ bottom line. Technology such as email and text can be an incredibly powerful tool in medicine. I communicate with colleagues and with consultants routinely in this manner. Departmental business can be easily handled via email communications. Although many patients certainly enjoy the convenience and speed of email and text access to their physicians, I am not sure the medical system is ready for this interaction at this time. We must define parameters for these interaction and come up with professional guidelines. We must ensure that patients remain safe and do not replace important office follow up visits with virtual communications. In addition, a method for compensating physicians for the time spent in electronic communication must be defined and incorporated into current reimbursement policies. The trial lawyers must be prevented from taking advantage of the numerous pitfalls associated with email and text communications. For privacy reasons, we must ensure that messages are encrypted and for medical-legal reasons we must create a way for email and text communications to be downloaded into the electronic medical record in order to fully document all doctor patient interactions that occur. The digital revolution in medicine has begun–it is going to change the way we do business–it is essential that we guide its development in ways that positively impact outcomes and improve quality of care. Personalized medicine is on the horizon. Social media, wireless devices, mobile smartphones and emerging medical technologies have allowed us to track our own health indicators and monitor our bodies like never before. Genomics allows us to better understand why certain people are more susceptible to certain diseases and why disease may be more aggressive in particular individuals. Combining the power of data with the power of genomics will revolutionize the way in which we care for patients in the future–most likely this will occur in my lifetime. Imagine a day in which you are given a prescription that is specifically made to target disease in YOUR body based on YOUR own genetic characteristics. The future of medicine is in genomics. Diseases that have been long thought incurable or untreatable may very well be cured and successfully treated through matching DNA and therapies. In the past genetic sequencing has been a tool of the research center and has been cost prohibitive for most–nearly $250,000 dollars per genome. 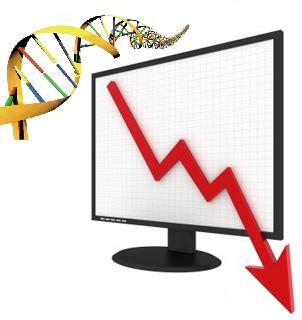 Now, technology has improved significantly and sequencing is around $6000 dollars and is expected to drop even further. This week in the New York Times, author Anne Eisenberg describes a new company that is marketing genomic sequencing machinery (cleverly called Knome)–currently these are being sold to academic and private research laboratories at about $125,000 dollars each. However, in the not so distant future, I can imagine a world in which a primary care physician has a sequencer like the Knome on-site and is able to analyze your DNA when you come into the practice as a new patient. Your personal physician can then utilize the information for choosing your therapies for years to come. If you move or transfer care to another provider, your genome sequencing would transfer with you–just like your medical records do now. I would also expect that ultimately we would have an encrypted national database of our personal genomes so that when you are travelling and need medical care, a provider in an Emergency Department in another part of the country can (with your permission of course) access your genome data when prescribing therapy. Certainly, genomics has much promise. We are just beginning to see the potential that targeted therapies can have on treating particular forms of certain cancers. As our knowledge of genomics increases and the availability of DNA sequencing becomes more mainstream the archaic data driven population approaches to treatment of disease are likely to be abandoned for more efficient, more effective and more directed, patient specific approaches. The transition to the genomic based practice of medicine will not be without difficulty. As we approach a time when patient-specific genetic information will be commonplace, we must prepare for the inevitable administrative responsibilities and controversy that are sure to arrive at the same time. Protecting individual privacy (and you think HIPAA is bad now) and avoiding discrimination for “genetic predisposition” to particular disease come to mind as potential hot button issues. However, the potential impact on our ability to practice medicine is infinite. As Dr Eric Topol clearly articulates in his book The Creative Destruction of Medicine, doctors will be able to combine data obtained from personal technology with powerful genome sequencing tools to provide the BEST medical care where drug effects are predicted and diseases are treated with certainty as opposed to a trial and error approach. Ultimately, the digital revolution will improve healthcare and allow for new technology and tools such as genome sequencing to be quickly incorporated into everyday practice. So, one day in the not so distant future, I expect all of us will know our own genetic sequences. A visit to the doctor will likely include a look in your ears, a look in your throat, a stethoscope on your chest AND a quick glance at your DNA….